During the month of August 22 September 22-2018 police of counter narcotics along with other security and intelligence forces arrested 84 people in the connection to 63 cases that include 5 woman from all over the country and their cases are dispatched to Counter Narcotics Justice Centre for further prosecuting. Among the detainees, 19 of them wanted to transfer heroin-type drug and hashish carrying in their body (swelling) and travel luggages from Hamid Karzai International Airport to India, Saudi Arabia and Dubai; they were identified and arrested by the police and responsible Prosecutor of Counter Narcotics Justice Centre. Based in request of Prosecution Department and Primary Court order 23 vehicle , 2 different type of weapon ,94 self-phone obtained from the smugglers and also ordered the amount of 44000 Afghani currency Cush and amount of 600 U.S. Dollar obtained from the smugglers and dispatched to Da Afghanistan Bank. At the same time during the month of August - September 2018, 52 people including two women in the link to 34 crime cases of drug trafficking sentenced to jail by Primary court and Appeal court of CNJC from one year up to 20 year. During the month of august current year Kabul province having 19 cases and Helmand having 7 cases of drug trafficking are at the top of the list of provinces with high-level cases of smuggling and drug trafficking. 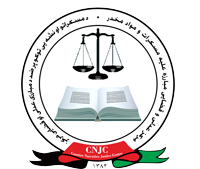 Khost, Nuristan, Panjshir, Zabul, Samangan, Paktika, Paktia, Uruzgan, Kunar, Kapisa, Ghor, Ghazni, Faryab, Farah and Badghis are among the provinces that there are no cases of smuggling and drug trafficking registered with CNJC. In the course of month August current year in the link to 39 cases of drug trafficking crime 56 people including 4 women detained from all over the country and their cases are sent to Counter Narcotic Justice Centre for further prosecuting.